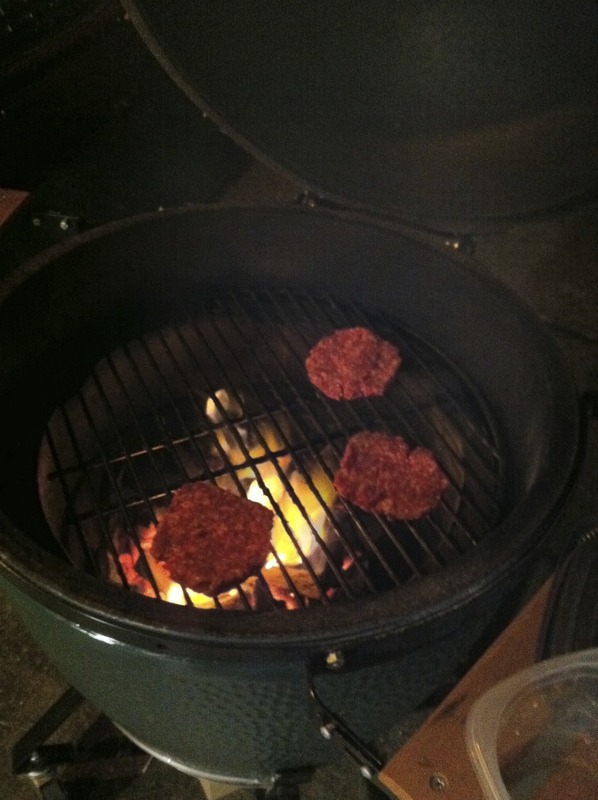 I have just thrown the goat burgers on the Big Green Egg. We have freezing rain and the temperature is presently 30°F. For those that haven’t had goat burgers, you haven’t lived.